BlackRock (NYSE:BLK) earnings for the first quarter of the year include earnings per share of $6.61. This is down from the company’s earnings per share of $6.70 for the first quarter of 2018. However, it was still good news for BLK stock by easily beating out Wall Street’s earnings per share estimate of $6.13 for the period. The BlackRock earnings report for the first quarter of 2019 also has net income coming in at $1.06 billion. That’s a drop from the company’s net income of $1.09 billion reported in the same period of the year prior. The most recent BlackRock earnings also has the company reporting revenue of $3.35 billion for the quarter. This is a decrease from the company’s revenue of $3.58 billion reported during the same time last year. However, it was still a boon to BLK stock by coming in above analysts’ revenue estimate of $3.34 billion for the quarter. 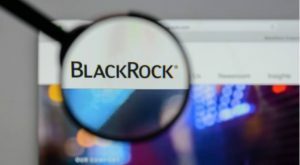 Article printed from InvestorPlace Media, https://investorplace.com/2019/04/blackrock-earnings-blk-stock-pops-on-earnings-topper/.